AuthorCentrix celebrates its second year as one of the exhibitors at the Fair. The company will be gracing the event with Thea Torgersen. This year at the Fair, she brings to the readers, a Suspense Thriller that will take the readers to the depths of their imagination. 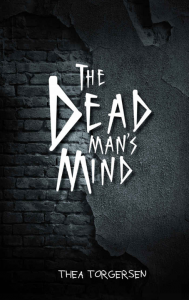 While Friday The 13th is said to be a Doom day, wait until she reveals the secrets of The Dead Man’s Mind. A chance for one-to-one Author Interview and Book Signing with Torgersen await everyone!